Current threading, eyelash tinting and beauty eyebrow is very popular, if you want to open this business, which is a good idea, if you browse our website, you can see our made many eyebrow kiosks to Australia. 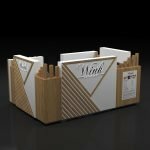 the design is black and white match color, looks very high-end and fashion; whole kiosk is very intimate, all around surrounded by the wall, entrance in front of kiosk, we made 2 byobu as a door, byobu can stick some posters or promotion menu, like an advertising board; kiosk also have a tower and can put customers logo on both sides. on the wall, we add many posters light, they all are backlit, when night, let the whole kiosk very attractive. 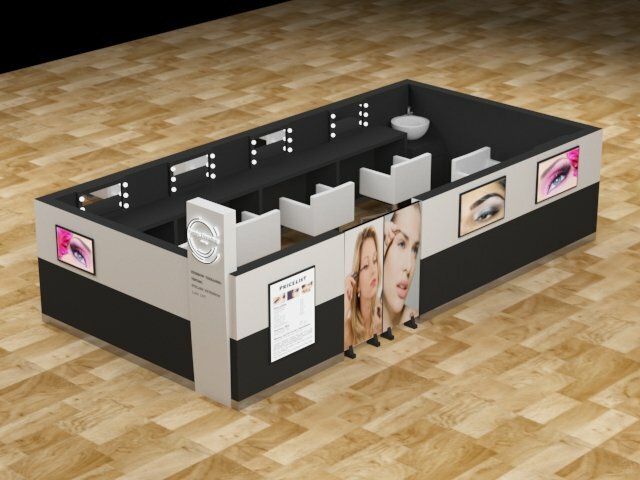 inside of kiosk, as you see, there are 5 stations for threading, the corner has a sink, near to entrance has a small cash counter, seating area, inside wall we also make glass showcase so that customers can put the products. 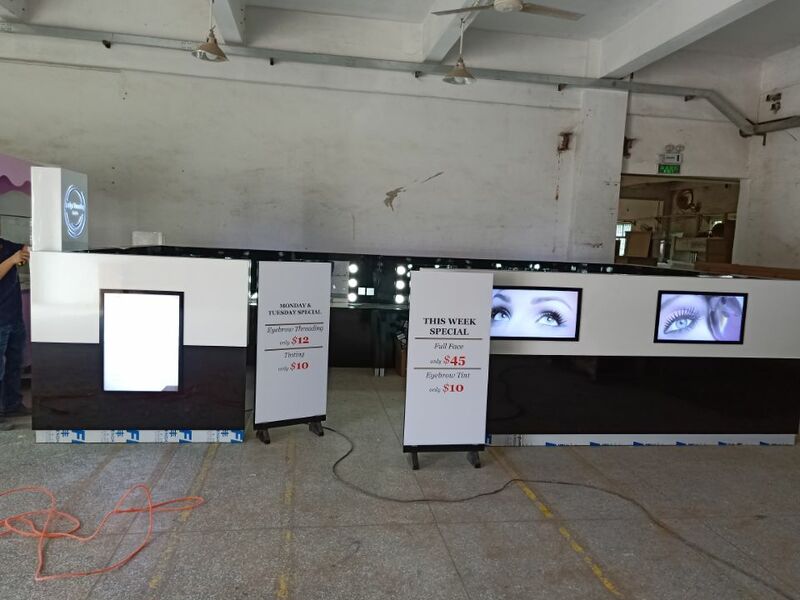 in all, i think this set eyebrow threading kiosk is very fashion and high-end, how do you think of? About size: this one 5*3m, can put 5-6 station for threading, if you have a more small size, we will make a suitable inside layout based on your size. if you are interested, welcome inquiry. in the end, share some real photos, you can see the kiosk finished effect.